Have you ever wanted to see other countries? Would you like to use your English skills in an English speaking country? At G&S we offer the opportunity for all students to come on our Home-Stay programs, or arrange private trips for you to visit overseas. The goal of all students at G&S is to be able to speak English to the best of their ability. With native English speakers teaching, all students have the opportunity to listen to, and speak in naturally spoken English, whilst having the pronunciation checked. But, would you like to go further, and put your English to the test? G&S Home-Stay programs have given many children and adults the chance to stay in both the UK and America, with our teachers families. As well as speaking in English throughout your stay, you also have the chance to experience new cultures; trying different food, seeing a different lifestyles and also visit interesting places and sites. At G&S we have 3 different ways to experience our overseas learning services. This option, is to go as a group, with a G&S teacher to his/her home town and stay with their family. Accompanied by the a teacher they know, they can feel relaxed and try to use as much English as possible with the teacher’s assistance. G&S will arrange the program, full of interesting activities throughout your stay, and will travel with the group to and from Japan. This option can be arranged throughout the year, but is dependent on the availability of the G&S teacher. For adults or families that can travel without a G&S teacher, we will arrange for your stay, either in our families home or if you prefer, in a private apartment. Additional activities can be arranged by G&S, or you can be free to schedule your own plan during your stay. This option is available at anytime throughout the year. Please discuss with G&S to arrange suitable dates. 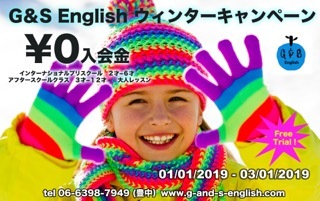 If you are planning a trip to a foreign speaking country, but would like an English speaking guide, you can hire one of our G&S staff to accompany you and your family. This option is to help you with all your bookings, explanations, and to have fun with you and your children throughout your trip. Again, this option is available at anytime throughout the year. Please discuss with G&S to arrange suitable dates. 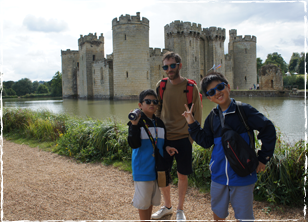 Our Home-Stay programs in the past have included summer and autumn trips to the UK experiencing family life in rural Kent. Exploring the countryside, visiting the beach, and playing in the surrounding acres of parklands. Seeing historic castles, cathedrals and beautiful traditional towns. In addition, the family home is close to London, so a few days are spent in London seeing all the world famous sites including Big Ben, Buckingham Palace, The London Eye and Tower Bridge among others. Fun times are also spent shopping and eating in nations capital city. Another UK home-stay program has been ‘Christmas in England’. Enjoying the traditions of Christmas in a beautiful setting. Shopping and enjoying the fun of Christmas markets, ice skating at the Tower of London, carol singing, buying and giving presents, and the excitement of experiencing a unique Christmas has made this a truly special adventure. Other private home-stay’s have seen many independent student spend time in our family home for an extended period of time, enjoying British home life and studying English. Private home-stay adventures have been to Seattle, Washington in the USA. The families traveling independently have enjoyed staying with our families in America and being shown all the local sights. From the local fish market, Native American reservations, watching the Seattle Seahawkes baseball team and going whale watching are all fun activities enjoyed on our USA Home Stay. Group home-stays are also available to New York & New Jersey, to experience yet another international adventure. Our international teachers have families and friends all over the world including, Palau, France, Denmark, Scotland, Switzerland and beyond. If you would like to discuss a home-stay program to suit you, or would like to join one of our organised programs please call or come in and talk to us any time. Depending on the availability of our teachers and the home-stay families, we will always try to the best of our ability to arrange a program which will give you or your children an unforgettable travel experience. Contact 06-6398-7949 to arrange a meeting to discuss home-stay programs. In London I saw lots of boutiques and toy stores. During Christmas, Santa Claus gave us some presents. The present for me was a big chocolate, and it was fun. Thank you to G&S and to Gavin’s family in London.